​What is the Compliance Program? 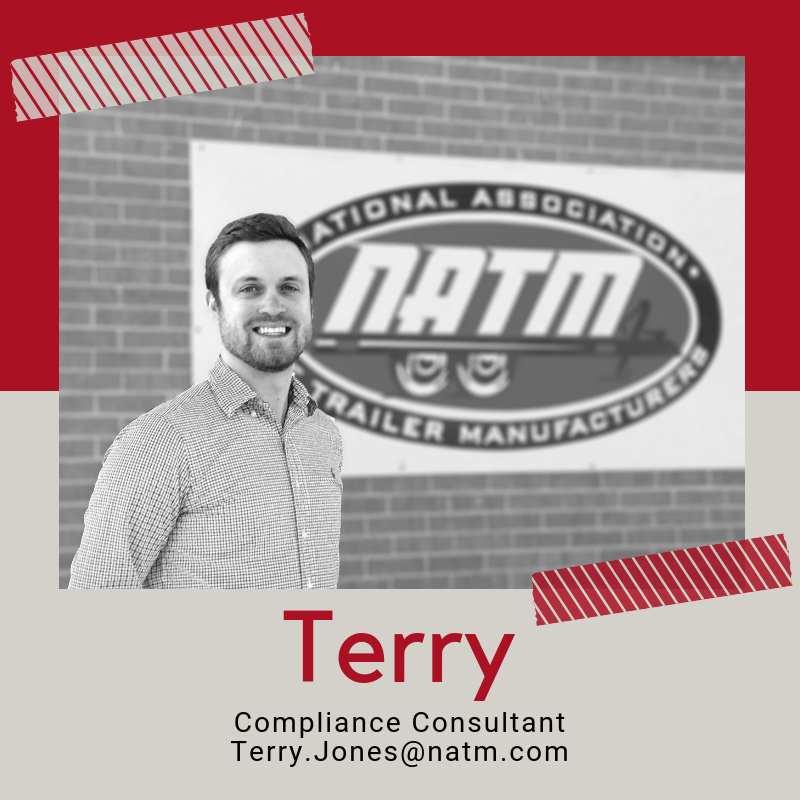 ​ NATM’s Compliance Verification Program is a biennial onsite inspection of members’ trailer manufacturing facilities to ensure they have the processes in place to comply with Federal Motor Vehicle Safety Standards and industry best practices. To learn more, click here. A trailer manufacturer joins NATM. NATM will promptly mail the 80-point checklist, included in your copy of the NATM Guidelines for Recommended Minimum Manufacturing Practices for Light- and Medium-Duty Trailers, in your new member package. Within a week of joining, a member of the NATM Compliance staff will reach out via email to discuss scheduling and provide additional documents including policies and procedures, flow charts for the program process, and another copy of the checklist for your review prior to your consultation. 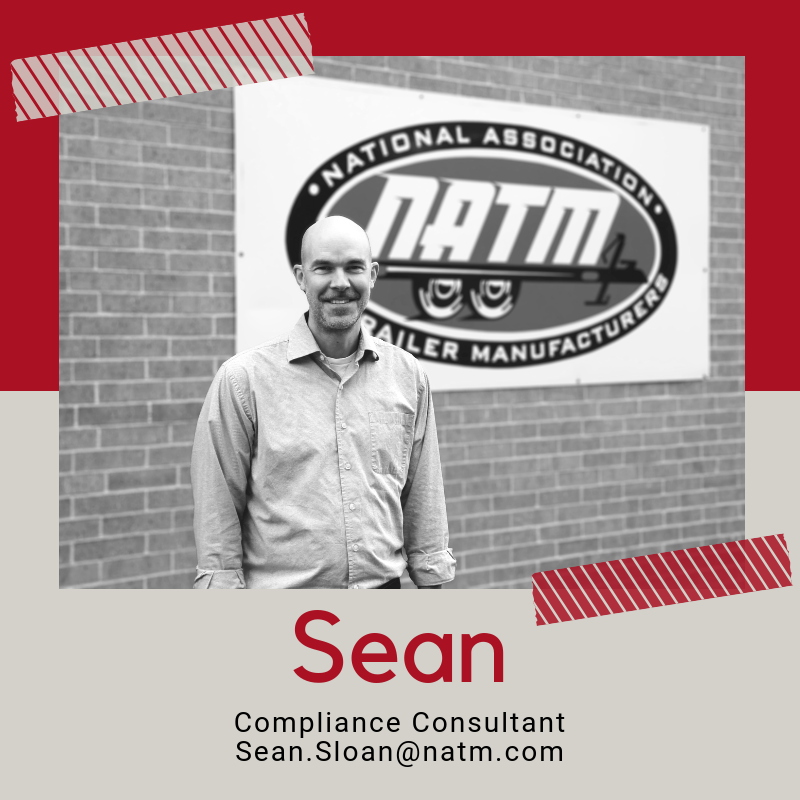 An NATM Compliance Consultant will come to your manufacturing facility for the scheduled appointment, which will take approximately 2 hours. *For members based outside of North America, NATM will review trailers once in the United States at a mutually agreed location. Review the program before beginning. Go through in-office administrative requirements, tour the facility, and review a sample number of trailers available at the time of the visit. Talk you through the entire process as they go along, answering any questions you may have and pointing out any non-compliances they find at the time they are found. Provide onsite support, asking questions and seeking clarifications while the consultant is onsite is encouraged. Review the results of the inspection prior to leaving and can leave a photo copy of their written report at the end of the consultation upon request. 5. Within five working days, the Consultant will provide you with a typed report that will include a summary letter listing any non-compliances, as well as a detailed report for each missed item, the associated federal regulation or industry standard, and any additional notes. ​ 6. The consultant will work with you to make corrections. Members automatically receive sixty days to make corrections, with an extension process available following sixty days. The consultant or another NATM staff member will send you regular reminders following your consultation to ensure you have everything you need and are aware of where you are in the program timeline. There is an appeals process available to members who disagree with the findings of a compliance consultant. For more information on that process, please contact Executive Director Kendra Ansley at Kendra.Ansley@natm.com. 7. Upon successful completion of the program you will receive a certificate and letter to confirm your company passed the consultation. At that time, the company is eligible to use NATM compliance decals. 8. The certificate is in effect for two years, though on occasion this time is adjusted to fit the member into the regional schedule for consultations. Prior to your expiration date, an NATM Compliance Consultant will contact you to set-up another consultation. The consultation generally occurs the month before the expiration date. How Do I Prepare For a Consultation Visit? Although no early preparation is required, there are a few things that can be done ahead of time to make the most of your consultation. Sign and return the Compliance Verification Program Policies and Procedures (provided in your emailed welcome package and again during consultation scheduling). You cannot complete the program before NATM has received your signed document. Review the checklist provided by NATM prior to your consultation date, make note of any areas where you have questions. Ensure that the appropriate team members for your facility will be available for the meeting. This may be one person or a group of people depending on your preference. Ensure that you will have product at your facility ready for inspection that is representative of what you regularly build. If the records required according to the checklist are time consuming or difficult to pull for review, do so ahead of time. What is the Compliance Decal? It recognizes NATM members that have successfully completed an NATM compliance consultation. 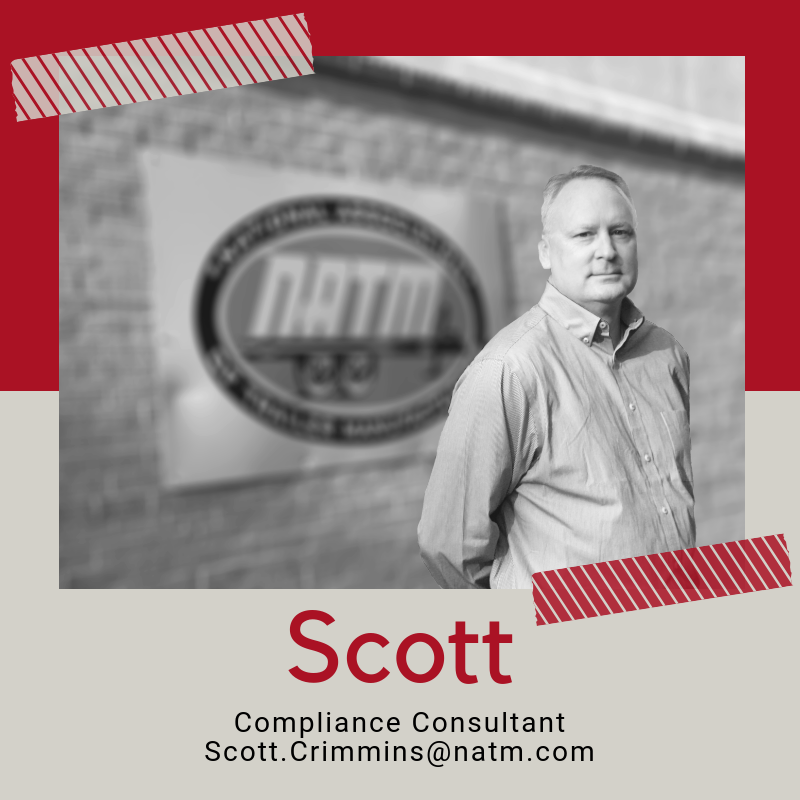 It provides the public some level of assurance that trailers carrying the NATM compliance decal have been built by a manufacturer in compliance with Federal Motor Vehicle Safety Standards and recommended industry best practices. It indicates commitment to producing a safe product. Order your NATM Compliant Decal Here.